Sunset Grill locations that are coming to your neighbourhood. Come in and enjoy a delicious, fresh-made meal at your local Sunset Grill. Try our pure beef Sunset Burger and home fries. Give the gift of breakfast! 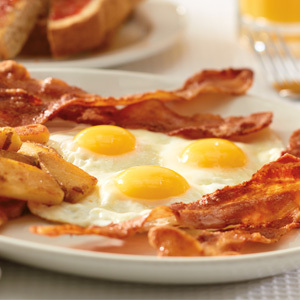 Treat yourself and your loved ones to a fresh, delicious meal at Ontario’s best breakfast destination. Gift cards available in any denomination. Purchase yours in-store. Check your card balance here! On March 20, 2015 Sunset Grill celebrated our 30th Anniversary. Thank you to everyone who visited us during our Customer Appreciation Week. Thank you to all of our customers and staff for 30 years of support. 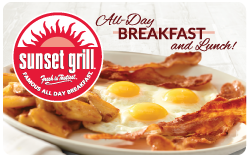 Sign-up for Sunset Grill’s newsletter containing special promotional offers, updates, and news including store openings, menu items, franchise opportunities, and more! Copyright © 2019 Sunset Grill Restaurants Ltd. All rights reserved.